Discussion in 'Spell Casters' started by SierraB123, Apr 9, 2018. Had anyone here ever tried Celeste? According to her site, she is referred to as the Princess of Light and claims to know the "Prophecy of Angels". If this sounds crazy, that's because it is. Another hilarious thing about this Celeste is that she claims to be half angel. What?? Now, if that doesn't raise red flags, what would? Her site claims that her angel reading are 100% free. However, she has a section on her site that sells a "secret" manuscript called Contact Your Angels. I'm betting this is not a helpful source of material at all. I sure hope that people searching for legit spell casters and psychics are smart enough to know that this is a load of hogwash. I'm no way, shape, or form is this person a divine being, or even half of one!! This Celeste person's picture is not her. I found it on a stock photo site!! It is an image stolen from Fotolia by Adobe. Also, in her reviews, there's a picture of every "client" along with their testimonials. I'm willing to bet that those pictures are from an image bank as well, like Fotolia, iStock, or Shutterstock. They look like they would be models. She has a listing of Angel Publications. If she's been doing her practice for a long time, why is one of her first publications less than a year old, with the last one being a few weeks old?? Shouldn't there be more publications? Wouldn't there be ones from years back? This leads me to believe that this website is less than a year old. Big red flag!!! Anyone who is thinking about using Celeste the Angelic Medium, please reconsider. This person is clearly a fake!!! Her picture is fake, her claims to be a divine being is also fake!!! She is using the Good Lord's beautiful creations to exploit people out of their time and money!! How does one sleep at night claiming to be an angel just to take people for what they've got?!?! Notice that they Photoshopped the original photo to make her skin less aged, added color to her skin and made her eyes stand out solid blue. They also gave her a hair cut and faded out her shirt to look more heavenly; like an Angel! @SierraB123 when researching a year ago before I found Ashra I did run into Celeste's website. Something didn’t set with me right reading about her. Definitely made me think this was another scammer using someone else photo. I did not go into that much research because I found Ashra Just a couple of days later. So happy I found Ashra and didn’t waste my hard earned money on this scammer!! I did use this psychic medium before I found Ashra. I thought something was wrong with me and maybe I was blocked to find happiness. I contact Celeste the Angelic Medium and she responded right away. She told me she can help me clear my karma. At that time I was so unhappy about my love ending things. First you get a free mini reading where she makes things so interesting. Then she will give you the options to clear away the bad karma. Celeste charged me $90.00 for an Indepth reading. I got the update 2 days after. She told me of course I was paying for something that happens in my previous life that was brought forward to this life. She send you a list of your angels name and a talisman for good luck through your email which you have to keep with you either print out or keep a pic on your phone. That's not all for 7 days you have to light a white candle and hold the pic of the talisman and repeat the verse she sent you after say your desire wishes. In 7 days you were suppose to get your wishes granted. Well guys... that never happened at all. Celeste turns out to be a real scammer. Then the emails start coming in to remove more stuff that she was seeing after she was studying my case. Lots of money she wanted and the emails was starting to scare me because she made you think that everything will fall apart. Any way please don't trust her at all. I guess in desperate times you try so much. I am happy I found Ashra back in December and I believe in Ashra Koehn and her work. Oh my!!? I thought I'm just the only one who knows about Celeste. She keeps on email me that my problem of bad luck is taken seriously. At first I am bothered in her messages. But she will help me. It says she will gonna perform for my grand angelic ceremonial karmic deliverance and receive with free archangel talisman of divine luck and so on. I unsubscribed her immediately. Because I don't have money for whatever she said and there's a lot of complaints about her, that she's only making money and nothing good result happens to those who she victimized. Half angel? Lol really! Out of all of the scammers out there that I have read about this has gotta be the most comical. If she was such an angel why is she out to scam people and scare them into using her services? A couple of months ago, I had come across Celeste because on her website it said "Free Readings," so I thought about trying it out. Thankfully, I didn't send her any money because honestly after a while I began to notice that her emails were becoming very repetitive. Plus, I didn't trust her either and her picture seemed to be unnatural. It looked photoshopped. Another thing is that she would suggest other people that she knows but then I had unsubscribed her. However, I'm definitely grateful that I've found Ashra. I'm glad that I never came acrossed on that lady named Celeste, I feel so mad that she needed to use the Angel and claimed herself as one just to fooled many people worldwide. She is definitely a scam and a big liar! I feel pity to those who've been a victimed of her on her website for sure many people believed her because she pretended to be an Angel but I know she'll gonna face a bad karma soon so everyone don't worry. This lady will gonna face the consequences of what she is doing now. I know there is nothing to gain by doing this kind of crime, I hope many people will gonna see the truth soon. I have had some experience with "Celeste" quite awhile back. I had contacted celeste to help with my situation. I had signed up through email and explained my situation slightly to Celeste. I kept on receiving email after email about " there are deep concerns about your situation" I knew straight away it was a scam. I never even explained my full situation to Celeste, so how would she know there was concerns?? I didn't reply to her emails and she just kept sending more. Celeste insisted that I should " not ignore this concern" and she had put a link in the email. I did not even click on the link, as I knew it was a scam straight away!! From the reviews I have read about her, this women is clearly a fraud. I don't know if anyone has ever noticed, her picture is like everywhere with pop ups?? The picture is so false and I really hope people can see through her falseness. Celeste is cleartly after your money, as alot of these scammers that work through email, will always sweet talk you, then hit you with a link!! Do not click on the link people!! I hope this has helped people out!! Thankyou for reading. Take care. Yes, I run with her before and after I met Ashra. But never really dealt with her I guess. . I have so many email from several psychics who promote offering a free psychic reading. I could feel in her picture calmness and peacefulness. I don't know what she could do. But nevertheless, I am not interested in Celeste, because Ashra is the person I am willing to entrust everything now. I don't think Celeste has any abilities. The photo of an old woman was likely a strategic decision by the scammer behind this character. What harm can an old woman do to you? Yes, I too also found Celeste. She claims to be a divine being and can help with my case. First take away all the bad karma that unfortunately wasn't my fault but in a previous life that some people were jealous of me and that karma has followed me through till now. Sending you a talisman to help you for seven days. Anyway its a load of rubbish. I am glad a found Ashra and the Ashra family. Keep that fire burning inside your heart. I to came across her before I found Ashra. A lot of the stuff she said never came true. I did unfortunately give her money but when I found Ashra I quit because all Celeste was wanting was more and more money. Scammer for sure! Thank you for sharing your experienced on that lady named Celeste and I'm happy because you did not push yourself to believe on that lady because she is definitely a scam, I'm thinking if Celeste has got money from you? I hope you did not payed for her fake services. I cannot believe that she's been using and pretending to be an Angel just for her evil website. Oh really dear? Well you made me laughed on your post, I think that kind of strategy was not a new now because I also believe that not only Celeste has been doing that, many fake spellcaster out there as well. I'm glad that you never deal with Celeste the Angelic Medium, you're always be a brave girl ever since. Ashra is the only one I can trust as well. I'm sorry to hear that you've been one of the victims of that lady Celeste, did she got a lot of money from you? I'm thankful that I did not came acrossed her because she just a big waste of time. I'm glad you found Ashra. I feel so sorry that you lose your money just because you believed and trusted Celeste, but you're now with Ashra so I'm sure that will never happen again. I just hope that Celeste will gonna get a bad karma for what she has done to many people. I know she is not the only one person who's been doing like this, there are a lot of scammers online so we should always be careful on who to trust. I fell for Celeste the Angelic Medium once. I asked for a simple reading. She told me everything was looking great. I had a bright future and everyone around me is very positive about my success. Of course this was a lie. She has sent me about ten emails after I refused to pay for an angelic reading. All her emails seem very threatening. She tells me everything is going to crash and fall. I'll be alone. At my own risk. And that she's just trying to help me. At the end of all these emails she tells me she can help me flip it all around if I pay her for an angelic reading. I emailed her back asking her to stop. She told me she'll be back to me shortly. Then a few hours later I get another email regarding my future. Seems like this scammer loves to spam victims with tons of email. Hopefully, they're able to unsubscribe, if not, add it directly to their spam folder. I still cannot process how someone can claim to be one of God's beautiful angels to scam people out of money. Angels are divine, merciful and just. I'd believe someone if they said Ashra was an angel; in a sense, she is a gift from God, to help us get our lovers back. This scammer is a bottomfeeder and a snake. If they don't think karma is right around the corner, they've got another thing coming. I have never heard of Celeste Angelic Medium, but after reading the comments, I don't think she is real. Her Free Angel Messenger Reading is just bated used to lure you in. Please be careful since there are a lot of free psychic websites that just want to take advantage of our situations. Ashra is the only spell caster you can trust and she is able to produce efficient results with her spells. Hey SierraB yes she does, tons of emails and so much with negative words to make you feel worst about yourself and your life. I was so inexperience with spell casters and mediums that I fell for it. Her prices change a lot in her emails when she notice you're not responding to her. It was so hurtful to know that people are like that in this world. Taking advantage of people who are hurting and looking for some help. I deactivated her emails after I realise she was a fake person. I learnt my lesson. Ashra is my first time casting a spell so it's a new learning experience for me about spells, but I can honestly say that I was bless to find her. Ashra is the true Angel and a gift from God. I have not attempted to try this persons service, I have stuck with Ashra ever since I found her. I can see a lot of red flags within this post that would cause me to not put any trust in her. One of the things I will never understand is why people photoshop their photos, and use photos found on the internet, that’s a red flag alone, it proves that you are lying about your identity and should not be doing what you’re doing. I have heard of this woman! I don't know why she claims she is half an angel! HAHA! She has a lot of things that point out and give out red flags! She is completely fake! Don't trust this woman. I don't understand why there are so many fakes out there that WILL be caught out one way of another HAHA! I wouldn't trust her or anyone else except Ashra! I have seen her ads over youtube, everytime I watch a video on youtube her ad appears. It says Celeste free pyschic reading. I was never interest in her because I have already found Ashra. I did not even bother to look at her site. I am glad that I have never got the chance to email her becausd I know that she would be a scam. Ashra is the only one I trust. There are a lot of scammers appearing now, so its always best to review that site and that person first before contacting them. Alsway do a background check. Zara555 hi!! Thank you for your reply. Yes i certainly had an experience with the false "celeste" it was an experience i will happily enough share with people to let them know how fake she is. I can certifie i wasn't gullable enough to pay her any money, although she did try to persue in doing so. Celeste thought it was such a good idea to email me with complete garbage and then send me a link. The link sent was obviously to try and take money from me!! I certainly did not click on that link and i really hope other people don't either. Who knows what kind of trouble you would receive with doing so? These scammers work in very cruel ways all these emails could link to your paypal account etc and rob you!! I agree that her Free Angel Messenger Reading is just hate to lure you in. So i would advice people to ignore the links that this women (Celeste) will send you through email!! Ashra is the only genuine spell caster i trust!! I had came across this women before i had found ashra, as i am new to all this spell work and was looking for help instantly regarding my situation. I have definitley learned alot from being here on ashra's site. I love sharing my experiences with you all, as i would hate any of you to be taken for granted. No one deserves that treatment, you have all become my family and i will help protect you from these people. I hope this has helped people know a bit more about celeste the fake. Thankyou all for reading. Take care. I see her ads almost everywhere now, and all i do is look at it and stroll past it because i don't even need her and she isn't even real. I looked at the picture and i just shook my head and kept on strolling down the page. Her ads are on youtube which i don't really want to see. I didn't know who she was until this thread. It's good to know that she is a scam. Hopefully i won't have to see her fake ads anymore. I have come across this lady too and since then I still continue to get email after email from her. I have unsubscribed from receiving any, but I still get them it’s so annoying whenever I see them in my inbox now. I don’t even read them I just delete them straight away maybe I can block her emails some how I don’t know. I've been seeing her ads everytime I am using google, but I'm just ignoring it because I don't have any interest about what she's offering and in the first place I don't have any beliefs even to others that I'm seeing online. I have a gut feeling that they are all the same, fake and just a scam. I am very thankful because I found Ashra and she is the one and only person that I'm trusting. I'll rather work hard for points to get a reading from her than to waste my time, on that lady and to others as well. I know how accurate all Ashra's reading so I won't regret getting it even if it may takes too long. I never though that she claims to be an angel haha. I always see her ads whenever I look over the internet and even on youtube, I always see her but I never trust her really because I have this feeling that she is a fake. Ever since I worked with Ashra, I had never trust any other spellcasters. I only trust Ashra and I know she is the only who can help me. This Celeste is just a scammer who will only get your money and will not even give you results. Oh I'm so sorry to hear that. She still sends me bs messages. I ignore them. Don't fetch a reading through her. I've never fetched one but I've felt ahe wasnt accurate on anything she says. Really? She told you she was half angelic? Ok my question is. Where's her wings and what marijuana that was laced she was smoking on at the time she told you? I.mean really? Humans are not angelic. You can follow the faith but ok I'm Sorry. Trish from a video game called Devil May Cry is half anglic but she also doesn't exist. Its a game! and i feel through as if she's scaming people like High Druidress Alisson. Im sorry im part druidry myself and even i dont believe their bs. I hope you didnt pay Celeste any money because if you did im sorry. She isnt worth it. One name Diana isnt either. Unfortunately i lost $29 bucks fir her to tell.me that I'm wasting my time fetching Anthony back (the love of my life over in Belgium). I wrote her back telling her she was a fraud. I really wish you luck. She contacted me I had never contacted her before. She came to my email through spam. Her free reading isn't anything but an email letting you know your angels name and sonething else. Can't remember what it was. Then she sends an email to purchase a reading. And when you don't buy it or reply she emails multiple times a day trying to scare you into doing it. I don't know anything else about her. But I did not get a good vibe from her. And didn't like her trying to scare me into purchasing a reading. @SierraB123 Ha! I knew I wasn’t going crazy lol. When I was researching for this type of stuff, her site popped up. Now, I’m not gonna lie, I got the “free” reading but was instantly disappointed because NOTHING that was said was remotely true. Then I kept receiving emails from that site that said everything but nothing lol. Everything if someone was desperate enough to purchase whatever she was offering and nothing because it didn’t seem “real”. What made it even more obvious was that if you kept reading, everything was based on “money” that the “angels” was waiting to give to us....crazy,right. I’m glad I found this topic because NOW I can talk about all of the fake ness of this particular individual. Yes, it is photoshop and by means of that we are surely that they are doing this to make people believe on that crap of beautiful words and pictures. Don't settle with those kinds of tactics. Be careful to trust and observe before committing. If you were reading this, I must say don't waste your time on that and just continue your plans with Ashra. Because Ashra is purely real spell caster, she gave passion for everything she do and wanted to make her clients happy. Even she is not receiving money from you, she will be fair to cast your spell. Be mindful to choose and pick the best. Half angel? WTH? I’m sorry but do you really think people will believe that your half angel? My question is are you even a real person? I saw the photo on “her website” of the old woman. It’s a stock picture. (if you already knew than sorry.) 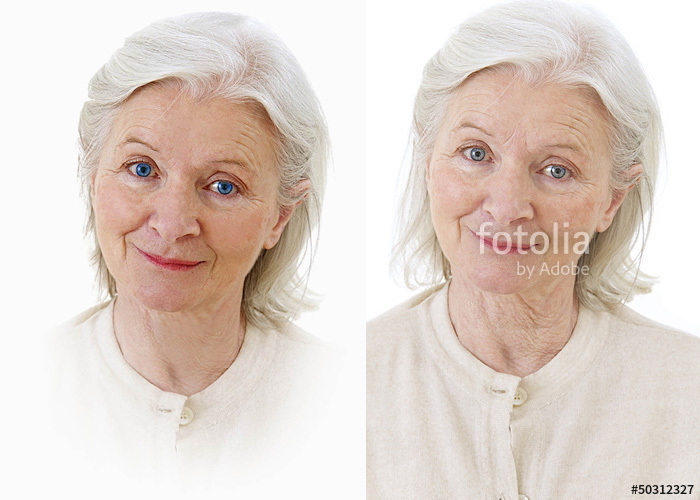 I saw that same picture of that same old lady on some website for a physical therapy place. I really don’t know how dumb these “people” think we are. I should report a lot of these websites but I’m too much of a chicken to do so hope you all have a happy new year! This is a funny thread because before I found Ashra I hit that button and she sent me a reading then all of a sudden she is an angel and their messenger. Then if you don't respond or buy her products you get the email Jess you are in harm's way. Don't you want to be happy and rich I am giving you a discount price the whole try guilt you in buying her scam. Then she sent an email telling me my lucky numbers and I need go play the lottery I laughed because I live in Alabama right now we have no lottery we have no casinos so um...she is a fraud is all I can say so glad I found Ashra who is real and glad I didn't spend any money to this fraud person.